Download Festival Madrid 2017 will take place in Madrid, Spain on June 22-24, 2017. 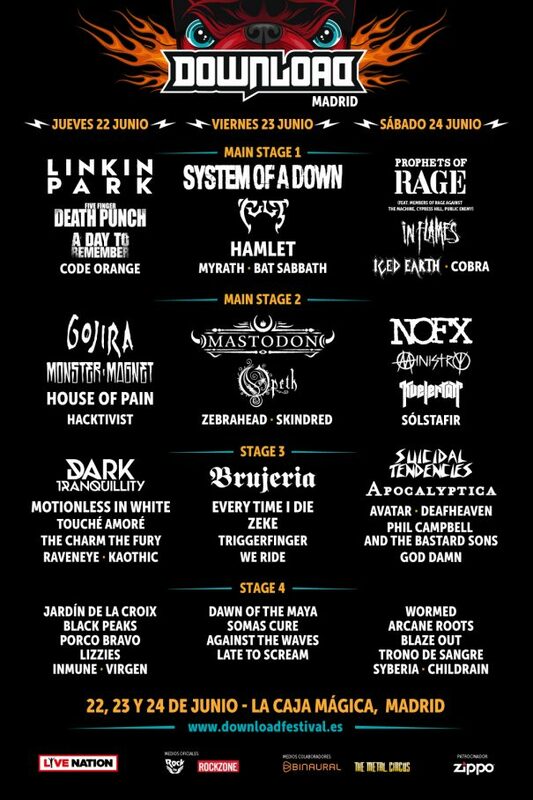 Opeth, In Flames and Kvelertak are among the bands that will perform at Download Festival Madrid 2017 festival. Sweden Rock Festival 2017 will take place in Sölvesborg, Sweden on June 7-10, 2017. 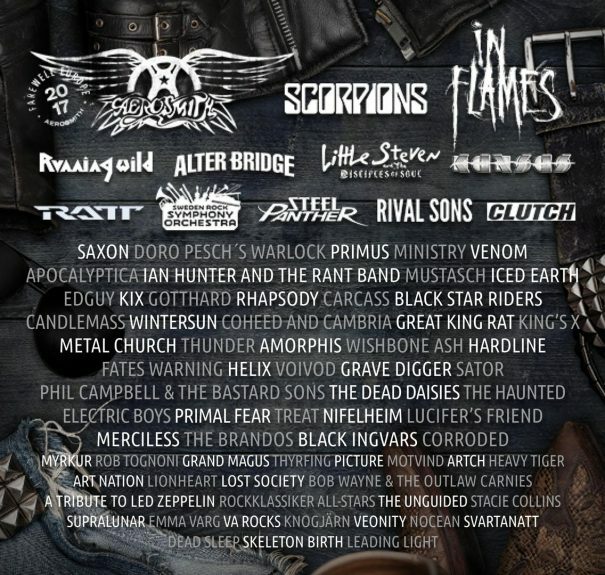 Aerosmith, Scorpions and In Flames are among the bands that will perform at Sweden Rock Festival 2017. Blackest Of The Black 2017 will take place in Oak Canyon Park, Silverado, CA, USA on May 26-27, 2017. 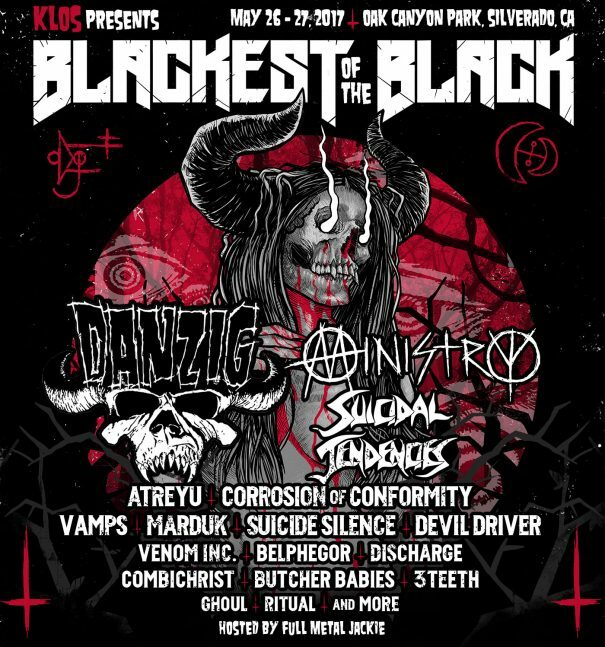 Danzig, Ministry and Suicidal Tendencies are among the bands that will perform at Blackest Of The Black 2017 festival. 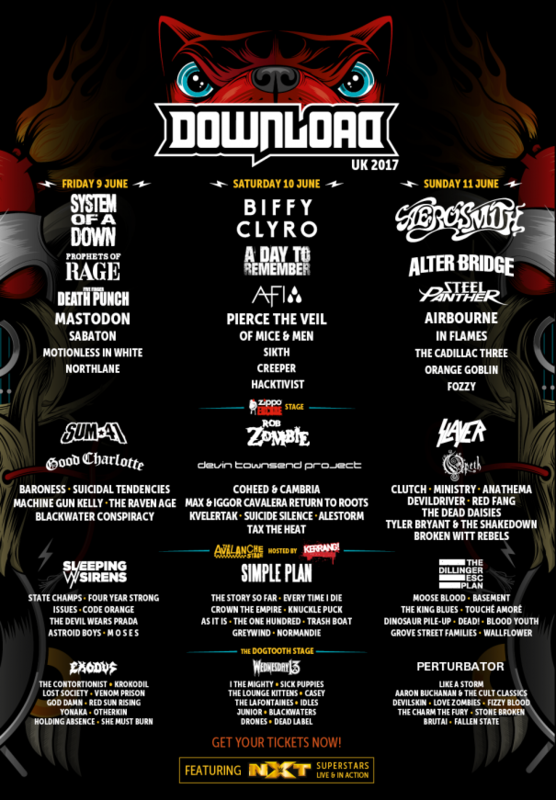 Download Festival 2017 will take place at Donington Park, Donington, UK on June 9-11, 2017. Aerosmith, Slayer and Rob Zombie are among the bands that will perform at Download Festival 2017. Graspop Metal Meeting 2017 will take place in Dessel, Belgium on June 16-18, 2017. 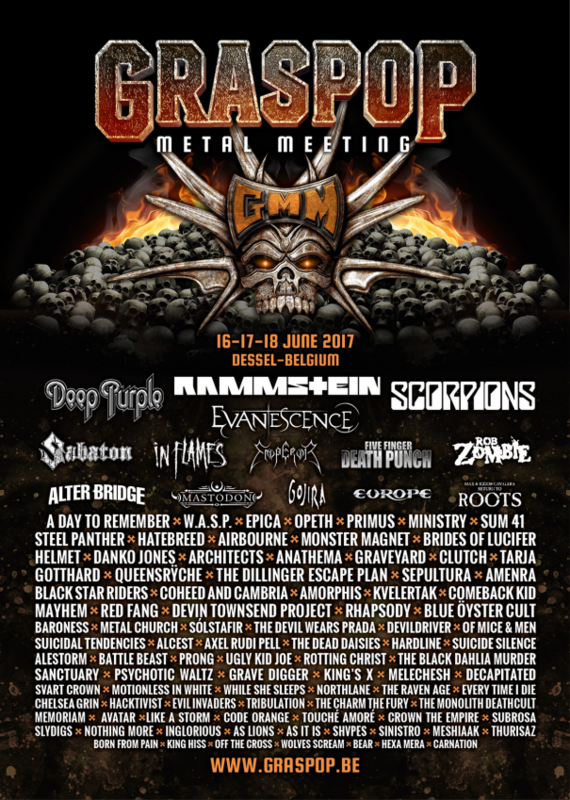 Rammstein, In Flames and Rob Zombie are among the bands that will perform at Graspop Metal Meeting 2017 festival. With Full Force Festival 2017 will take place in Ferropolis, Ferropolisstraße 1, 06773 Gräfenhainichen, Germany on June 22-24, 2017. 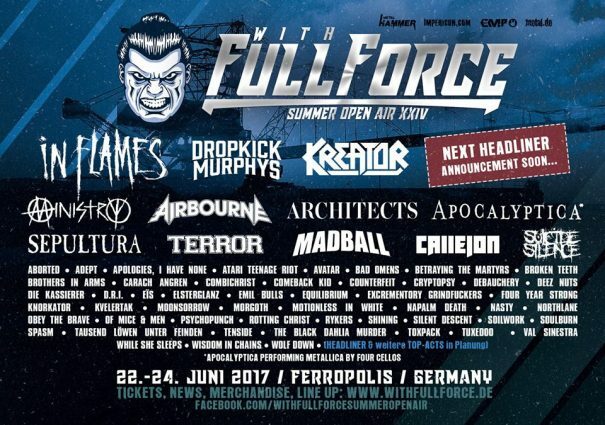 In Flames, Dropkick Murphys and Apocalyptica are among the bands that will perform at With Full Force Festival 2017. Xtreme Fest 2016 will take place in Albi, France on July 29-31, 2016. Ministry, Testament and Napalm Death are among the bands that will perform at Xtreme Fest 2016. Alcatraz Festival 2016 will take place at Bad Godesberglaan 22, 8500 Kortrijk, Belgium on August 13-14, 2016. Within Temptation, Whitesnake and Children of Bodom are among the bands that will perform at Alcatraz Festival 2016 festival. Chicago Open Air Festival 2016 will take place at Toyota Park In Bridgeview, Il, USA on August 18-20, 2016. Rammstein, Disturbed and Slipknot are among the bands that will perform at Chicago Open Air Festival 2016 festival. Brutal Assault Festival 2016 will take place in Fortress Josefov, Czech Republic on August 10-13, 2016. 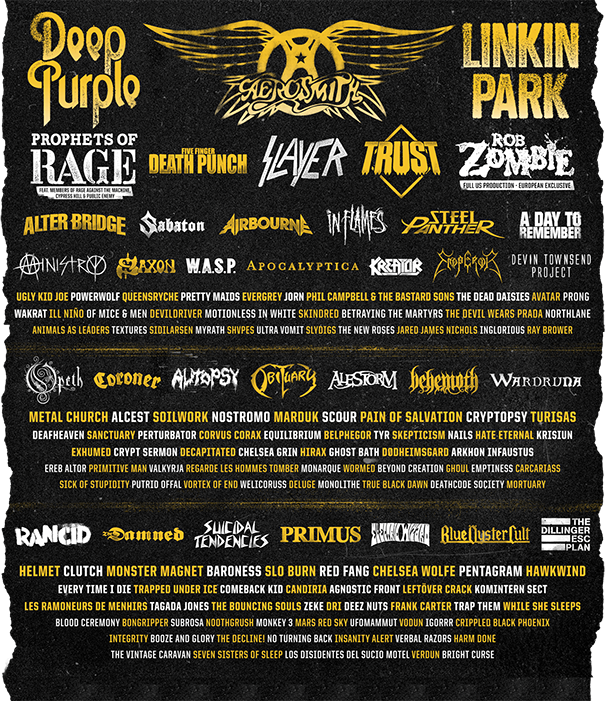 Arch Enemy, Obituary and Devildriver are among the bands that will perform at Brutal Assault Festival 2016. Wacken Open Air 2016 will take place in Wacken, Germany on August 4-6, 2016. Blind Guardian, Saxon and Testament are among the bands that will perform at the Wacken Open Air 2016 festival.